With two taut, impeccable thrillers (Chaser, The Yellow Sea) under his belt, Na Hong-jin shoots for something bigger and grander and falls on his face hard here with The Wailing, an overlong, exorcism/policier movie taking place in rainy rural Korea. Na's great at creating unsettling mood but extremely under-equipped to handle a logical narrative. Obviously your enjoyment in watching a film depends heavily on what you are looking for on a warm sunny Saturday afternoon in June, but The Wailing is so directionless and shallow and muddled while still trying to abide in genre norms, it crumbles at a mere seconds of afterthought and leaves you with a bad taste in your mouth. The film concerns a strange illness and multiple grisly murders going around in a rural Southwest Korean mountain town named Goksung. The townsfolk are spreading rumors that it all started after an appearance of a reclusive Jap (Jun Kunimura) that many saw him roaming around the forest naked, eating dead deer and having glowing red eyes. Jong-gu (Kwak Do-won), a local bumpkin cop, tries to make sense of everything but odd things are happening and happening too fast, he just goes along while making his emotions getting the better of the situations. When his own daughter falls ill with the same symptoms, Jong-gu summons a renown shaman to exorcise his daughter. Extreme xenophobia aside, this premise could have gone many different, interesting route. But Na keeps stacking up more and more intriguing elements that don't pay off. 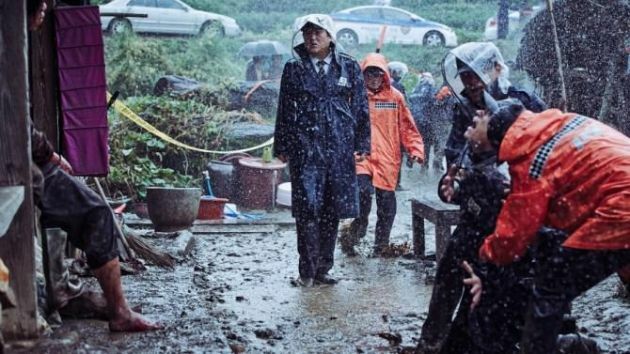 With multiple unearned plot twists and overstretched ending in almost 3 hours running time, The Wailing is a muddled jumble of mess that is completely underwhelming and unsatisfying on every level.